Today, the United Center, Chicago Bulls and Chicago Blackhawks announced a new partnership with Vidanta Resorts, a collection of luxury beach resort destinations in seven locations along the Mexican coast. As part of the new relationship, the United Center Theater Box premium seating area located on the east side of the Club Suite Level will be renamed the “Vidanta Resorts Theater Boxes” and Vidanta will become the preferred beach resort of both teams. Through the partnership, later this season SQN Escapes will provide United Center premium seating clients and Bulls and Blackhawks season ticket holders with special travel opportunities to Vidanta’s various luxury properties in Mexico. 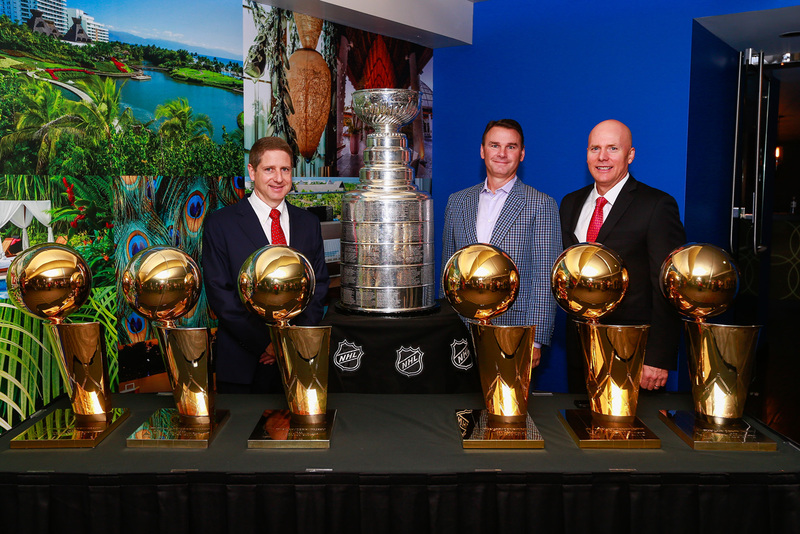 “The United Center continually strives to provide exclusive experiences to premium guests,” said Terry Savarise, Sr. Vice President of Operations at the United Center. “By offering opportunities to enjoy various travel and luxury options, the partnership with Vidanta Resorts is another important step in our efforts to enhance our guest experience." In addition to the United Center Theater Box integration and preferred beach resort destination status, Vidanta will receive a number of marketing assets at Bulls and Blackhawks games, including in-game branding, rotating LED signage on the 100-level concourse, fan engagement areas within the United Center, team logo rights, digital media and team ambassador appearances. Vidanta is an elite collection of luxury properties located on the most coveted beaches in Mexico. Vidanta’s seven distinct destinations consist of Vidanta Nuevo Vallarta, Vidanta Riviera Maya, Vidanta Los Cabos, Vidanta Acapulco, Vidanta Puerto Peñasco, Vidanta Puerto Vallarta, and Vidanta Mazatlán. In addition, Vidanta is comprised of six different resort hotel brands, each offering an exceptional guest experience, including Grand Luxxe, The Grand Bliss, The Grand Mayan, The Bliss, Mayan Palace, and Sea Garden. Vidanta is dedicated to elevating the typical resort experience through continual evolution, with a vision rooted in innovation and the highest quality standards. Every resort boasts an extensive list of amenities, signature services and authentic experiences unique to each destination. Additionally, Vidanta features a diverse selection of entertainment options and activities; world-class, luxury spas as well as six renowned golf courses designed by the sport’s biggest names, including three Jack Nicklaus course¬s and a new Greg Norman course opening at Nuevo Vallarta. From new resorts under development in Mexico’s most desirable locales, to a variety of inventive destination attractions being introduced, including JOYÀ by Cirque du Soleil which recently debuted at Vidanta Riviera Maya, as well as the forthcoming Cirque-Vidanta resort and theme park, Vidanta is constantly expanding and offering new, one-of-a-kind guest experiences at each of its destinations. For more information, visit www.vidanta.com.